On Sunday, PBS will air the final episode of a six-part miniseries called Mercy Street, set at a Union hospital in Alexandria, Virginia, during the Civil War. This is the second of two blog posts that will explore a Spencer connection to that program; it’s an excerpt from a longer piece to be published later this year. Both entries have been guest written by Spencer researcher Charles Joyce. Mr. Joyce is a labor attorney in Philadelphia, Pennsylvania, and also a long-time collector and dealer of Civil War photography. 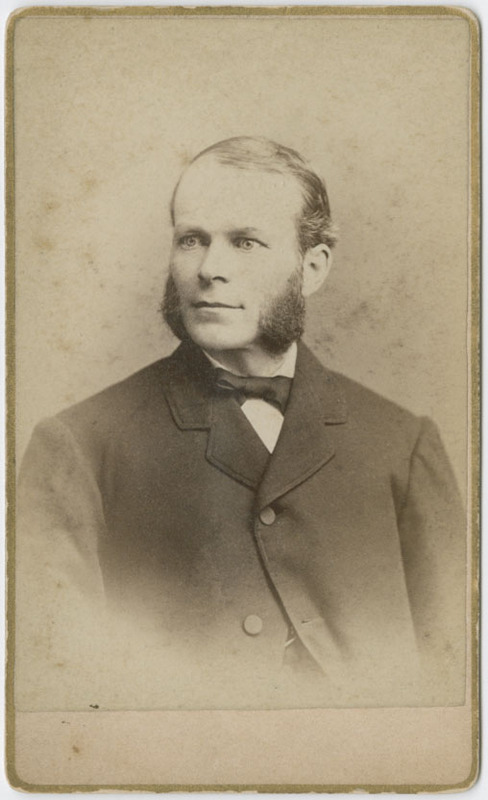 In my previous blog post, I introduced readers to an early KU professor and Chancellor of KU, Francis Snow, and linked his life to the PBS miniseries Mercy Street. The physical bridge between the two takes the shape of a seven by five and one-half inch albumen photograph that I purchased in an eBay auction, shown below. 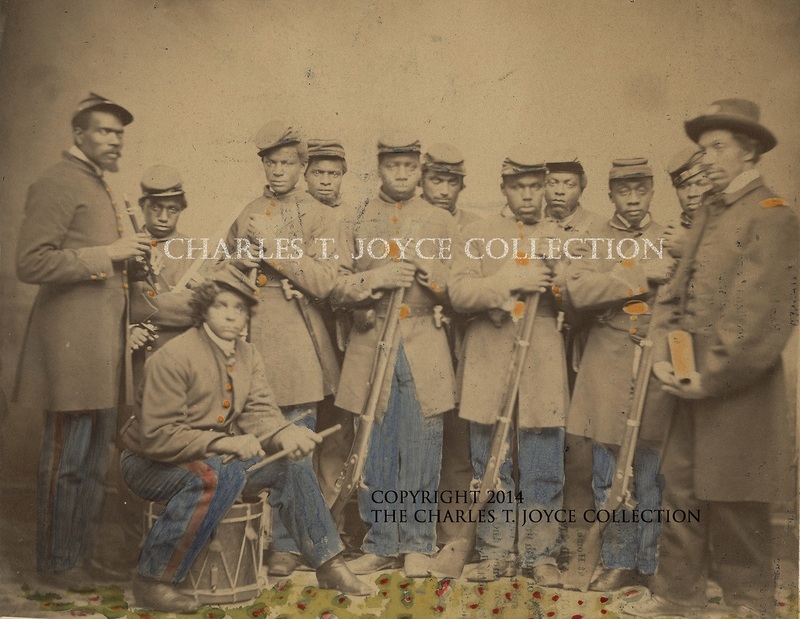 Images of U. S. Colored Troops, as they were officially designated, in such a grouping are themselves relatively rare, but what makes this image truly remarkable is that each soldier is identified on the pasteboard mount by a penciled notation, written in a very distinctive hand. Reverend Chauncey Leonard. Private collection of Charles Joyce; used with permission. Click image to enlarge. Close-up of the soldiers’ names, written by Francis Snow at the bottom of the mount. Private collection of Charles Joyce; used with permission. Click image to enlarge. The tools used to determine who these men were – and to posit a reason why this image was made in the first place and how it finally ended up in the personal effects of a University of Kansas Chancellor – were found chiefly in two repositories: The National Archives in Washington, D.C., and the Records of the Office of the Chancellor at Kenneth Spencer Research Library. President Lincoln’s Emancipation Proclamation made the enlisting of black men into the Union Army a reality, and by the end of the Civil War roughly 179,000 black men (10% of the Army) had served as soldiers, with another 19,000 having served in the Navy. 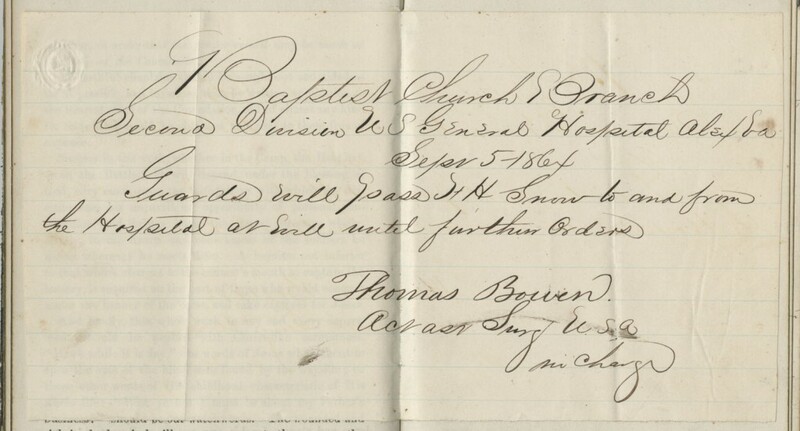 The War Department created a Bureau of Colored Troops to oversee, in as orderly a fashion as possible, the induction and service of the black soldiers. 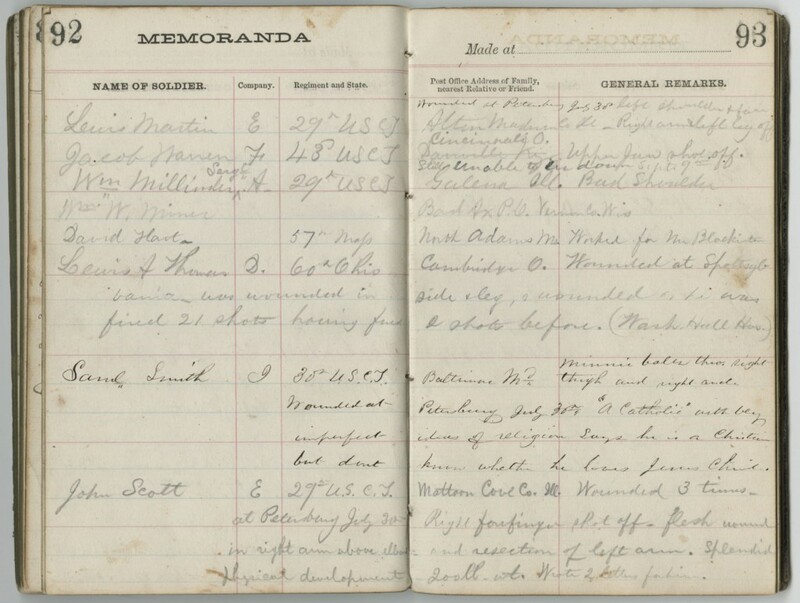 Because of the Bureau, records kept of those men were both systematic and fairly scrupulous, as illustrated by the documents below. 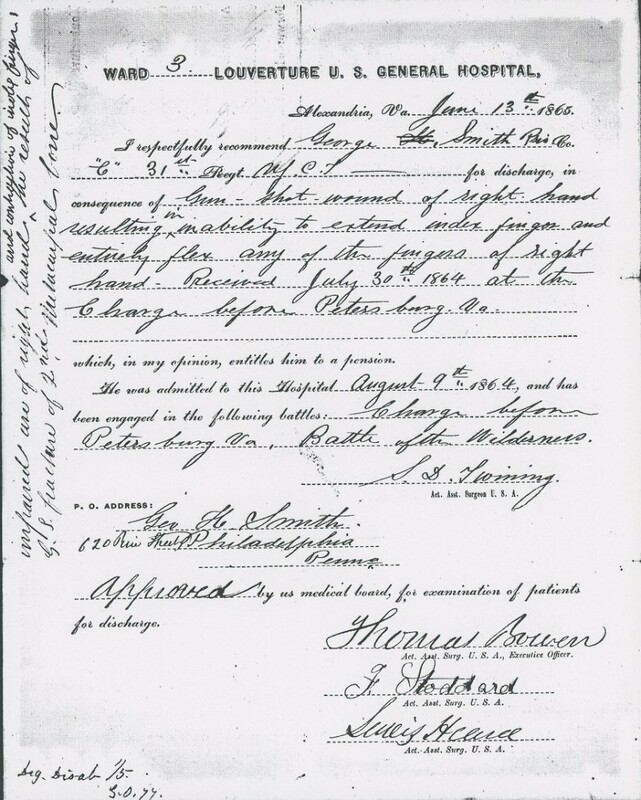 Moreover, soldiers who survived the fighting – especially if they had been wounded or ill during their service – usually filed for a federal pension. This process generated reams of additional bureaucratic paperwork. While undoubtedly maddening for the claimant, these records are invaluable to the modern-day researcher. 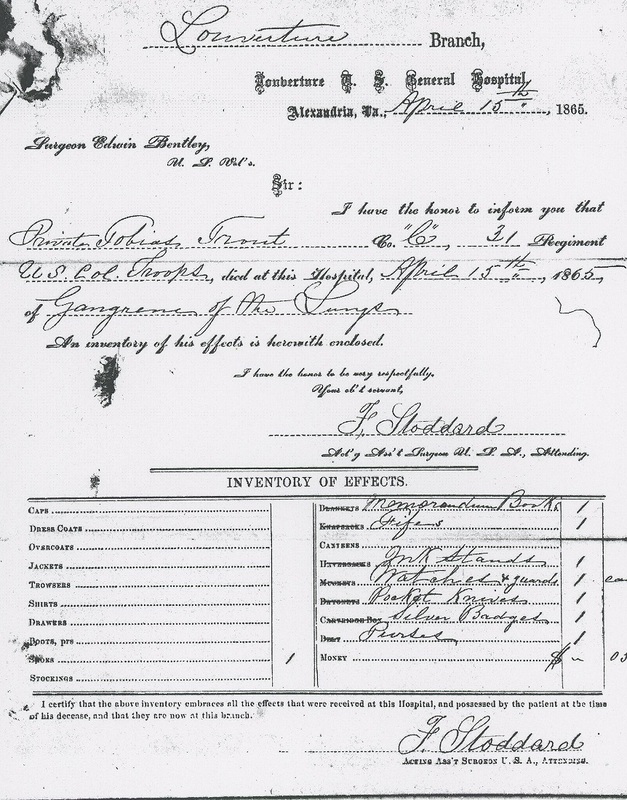 Today, the service and pension records of the USCTs are mostly digitized and available using online pay-for-use services like Ancestry.com or Fold.com; copies of records can usually also be obtained for a fee by an online request or personal visit to the National Archives. A page from Tobias (Toby) Trout’s service file. Charles Joyce; used with permission. Click image to enlarge. collection of Charles Joyce; used with permission. Click image to enlarge. Service and pension records tell us this much, but it remains puzzling why the image was made and how it came to be found in Chancellor Snow’s private papers. 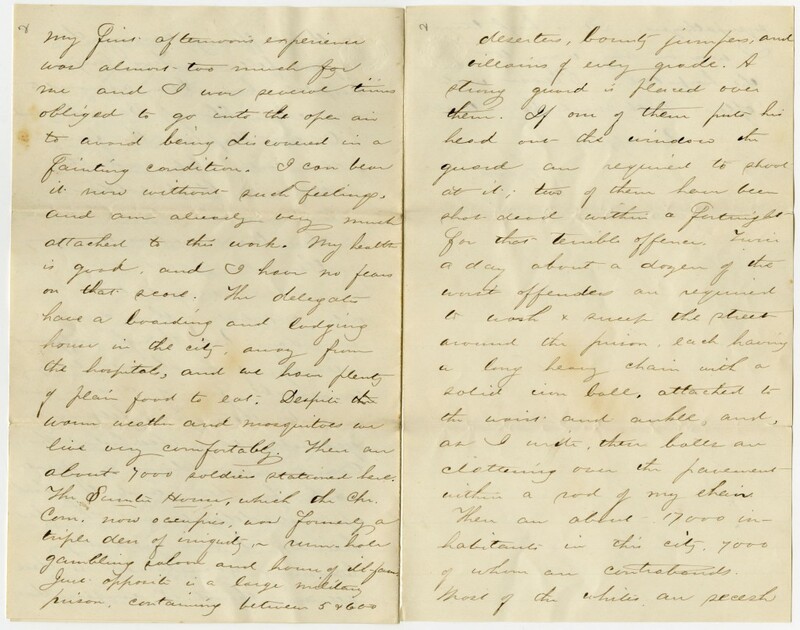 Fortunately, KU’s University Archives at Spencer Research Library retains many of Snow’s letters, journals, and diaries of the Civil War period, including a memorandum book he kept as a Christian Commission delegate stationed at Alexandria. 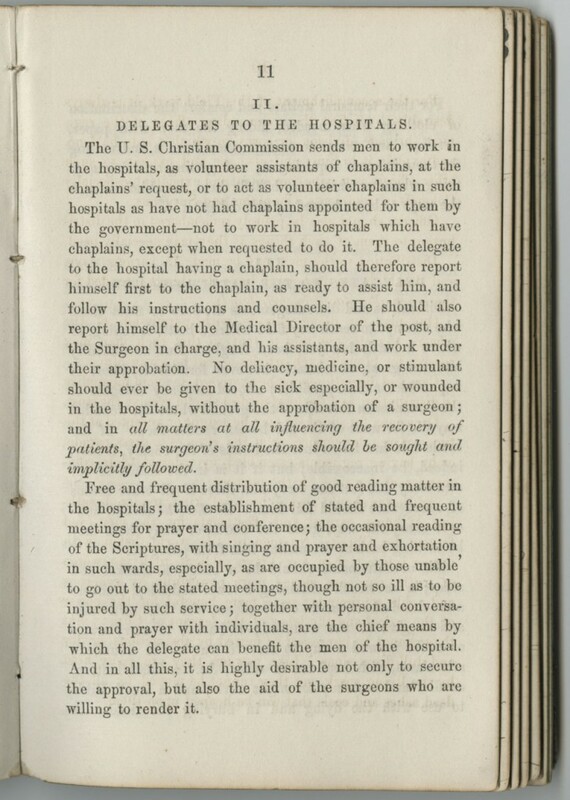 This established that one of his duties included ministering to the spiritual and physical needs of sick and wounded USCTs. 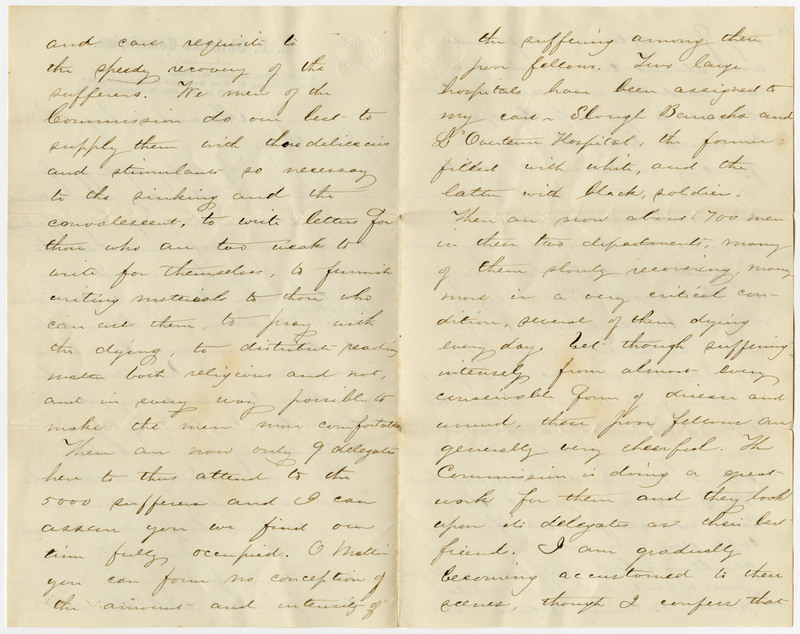 And, while there is no account of him dealing directly with any of the men in the photograph – other than the Hospital’s Chaplain, Reverend Chauncey Leonard – Snow’s writings, including the examples shown below, are those of a young man who viewed African Americans as fully worthy of their freedom. in Alexandria, 1864. University Archives. Call Number: RG 2/6/6. Click images to enlarge. Plainly, Snow’s brief month-long sojourn affected him greatly. 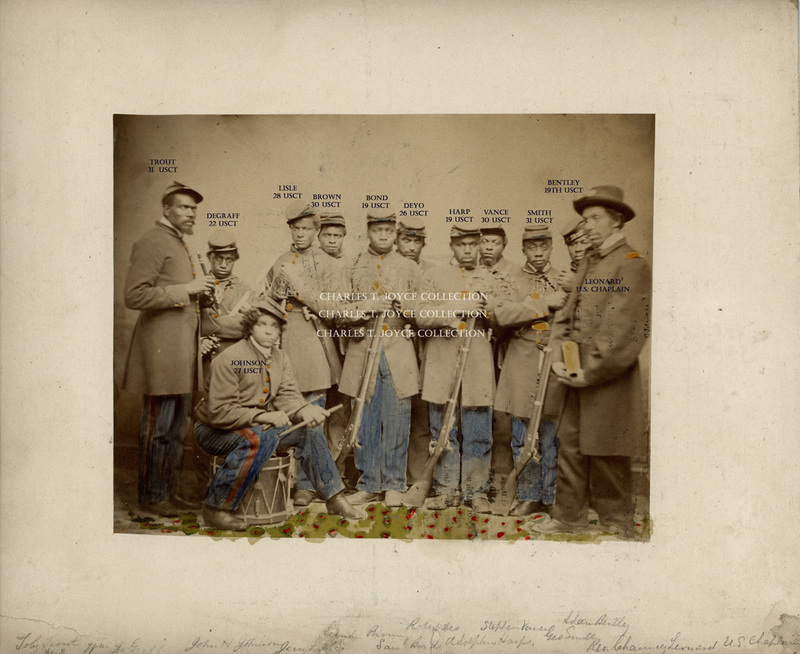 So, when an image was made of a group of black soldiers, Snow not only received a copy, but took the time to write each man’s name down – again in his own unmistakable hand – and kept the photograph for the rest of his days, until unearthed in another century, at a time when questions of race and justice nonetheless continue to confound us. On Sunday, PBS aired the first of a six-part miniseries called Mercy Street, set at a Union hospital in Alexandria, Virginia, during the Civil War. This is the first of two blog posts that will explore a Spencer connection to that program. Both have been guest written by Spencer researcher Charles Joyce. Mr. Joyce is a labor attorney in Philadelphia, Pennsylvania, and also a long-time collector and dealer of Civil War photography. Any connection between the University of Kansas and the PBS series Mercy Street would probably be considered unlikely at best. However, a fascinating historical link does exist in the form of Francis Huntington Snow (1840-1908), who, after the Civil War, became a prominent scientist and served as KU’s fifth chancellor. An undated photograph of Francis Snow taken in Lawrence. natural sciences and was one of the school’s first three faculty members. Snow served as KU’s chancellor from 1890 to 1901. Chancellors: Francis Snow (Photos). Click image to enlarge. In July 1863, Snow was a young Massachusetts divinity student facing a knotty ethical dilemma. The son of ardent abolitionists, Snow shared in his parents’ zeal to see the war transform into a crusade for the emancipation of four million enslaved African Americans. However, he believed his religious conviction and pacifist views prohibited him from actually taking up arms for the cause. 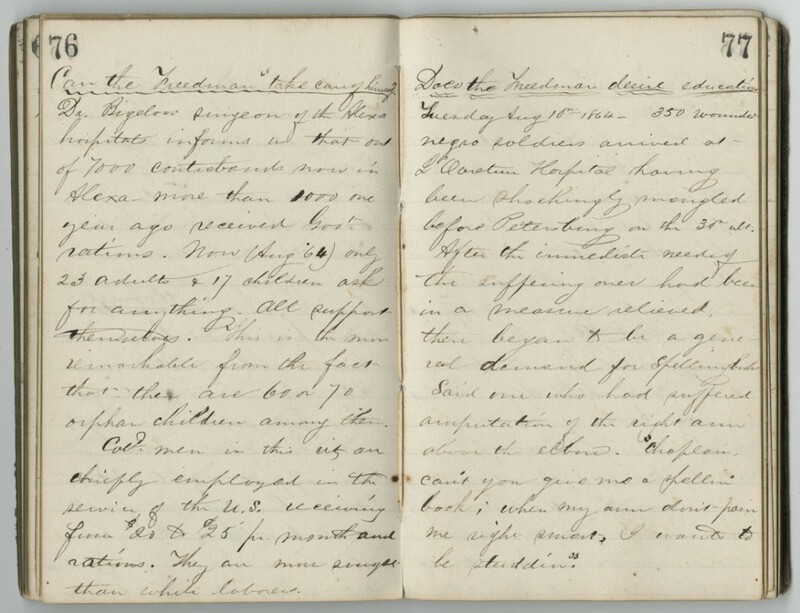 Snow was drafted on July 18, 1863, and he recorded his thoughts on the matter in his diary, held at Spencer Research Library. Could I be sure of a place where no fighting would be required, no amount of danger would deter me from going…[as] I might be of some service to the wounded on the battlefield or in the hospital. But a drafted man has no choice of position, and I, too, should be liable to be called to musket duty. So I can’t go. Snow weighed his options for opting out of service, as allowed by the draft law. Believing that “[g]etting a substitute would be worse in my opinion than going myself,” Snow decided to pay the commutation fee of $300. 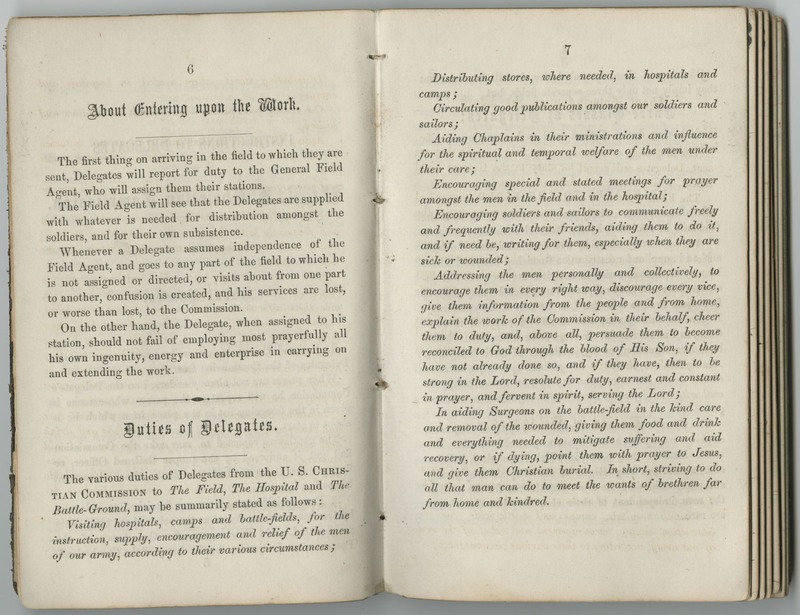 “Duties of Delegates” of the U.S. Christian Commission. Francis Snow journal, August 1-September 14, 1864. University Archives. Call Number: RG 2/6/6. Click image to enlarge. served with regiments in camps and on battlefields. Snow was unpaid, except for expenses, and he was required to keep a journal detailing his service on behalf of the Commission. 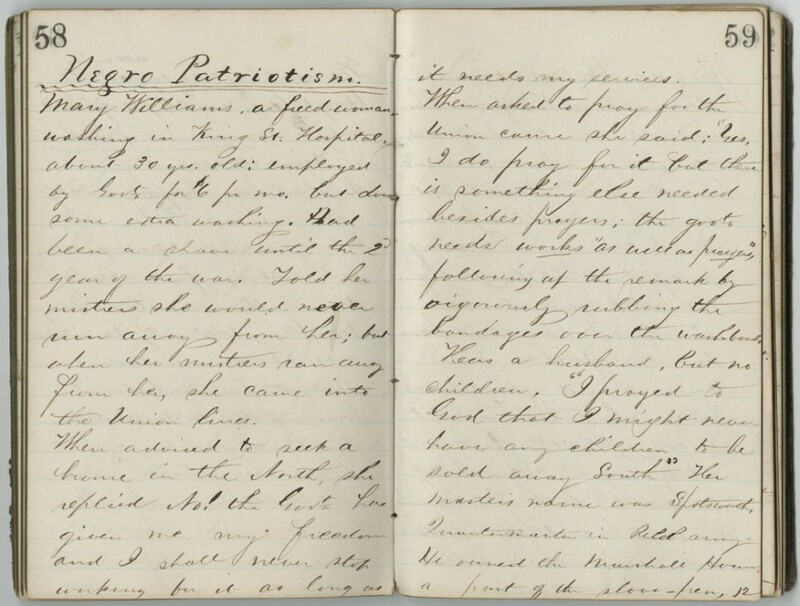 In this, he recorded that during his stay in Alexandria, he visited with over 2700 hundred wounded soldiers, wrote 128 letters for them, read scripture, sang hymns, and led them in prayer many hundred times more. 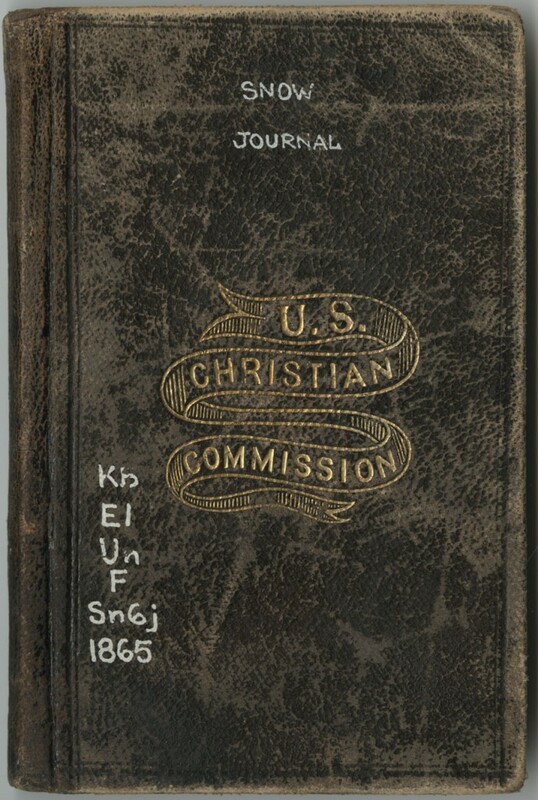 The cover of one of Francis Snow’s two Commission journals. 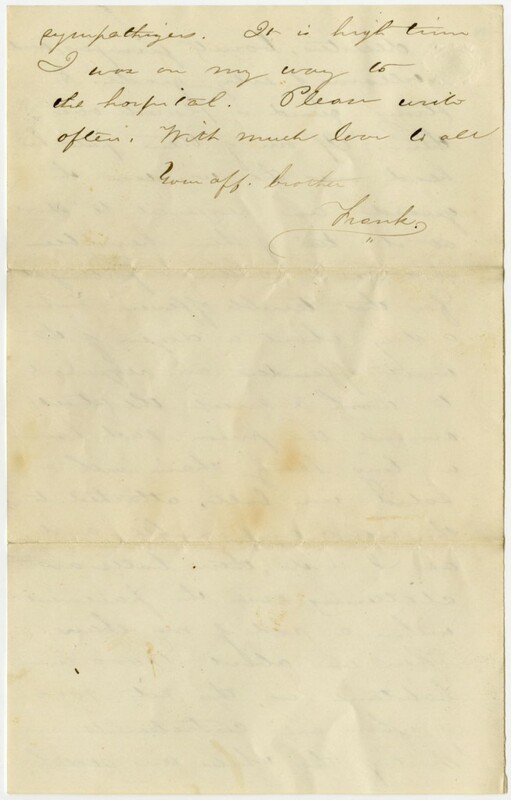 Virginia, on April 9, 1865, when General Lee surrendered to General Grant. 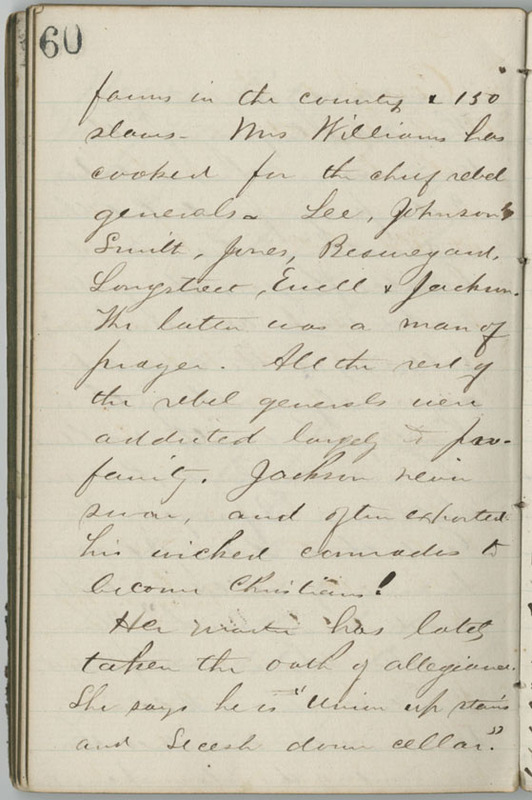 Snow’s 1864 journal included a ten-page list of soldiers with whom he interacted. Here he noted information about each man, especially the nature of his injury and his religious affiliation. or U.S. Colored Troops. University Archives. Call Number: RG 2/6/6. Click image to enlarge. 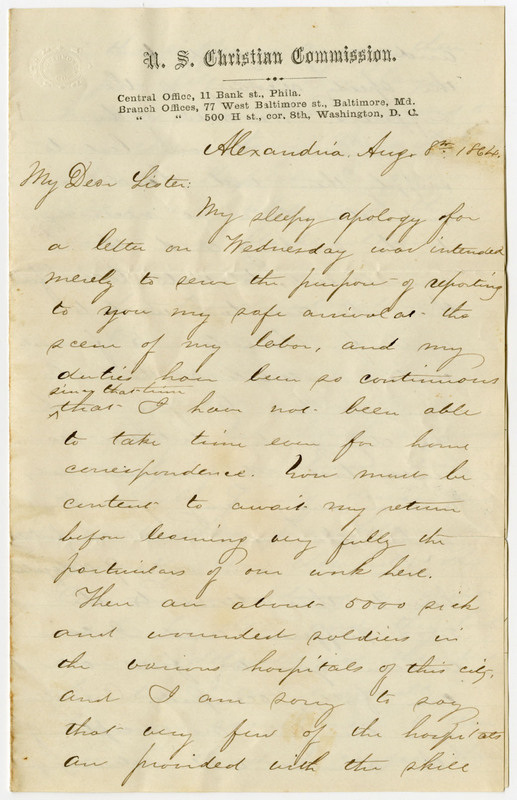 his hospital experiences in Alexandria, August 8, 1864.
he wrote, “and I can assure you we find our time fully occupied. Snow’s interest in and empathy with the black population of Alexandria, which had swelled during the war years, was also manifest in other, less official duties, like teaching a Sunday School class of black children. Indeed, when his tour with the Commission ended in early September, Snow “found it hard to get away” from those men, women, and children. He gave the Reverend Leonard $20 to “lay out for the boys” at L’Ouverture. African American soldiers from L’Ouverture Hospital, circa 1864. Photograph in the private collection of Charles Joyce; used with permission.